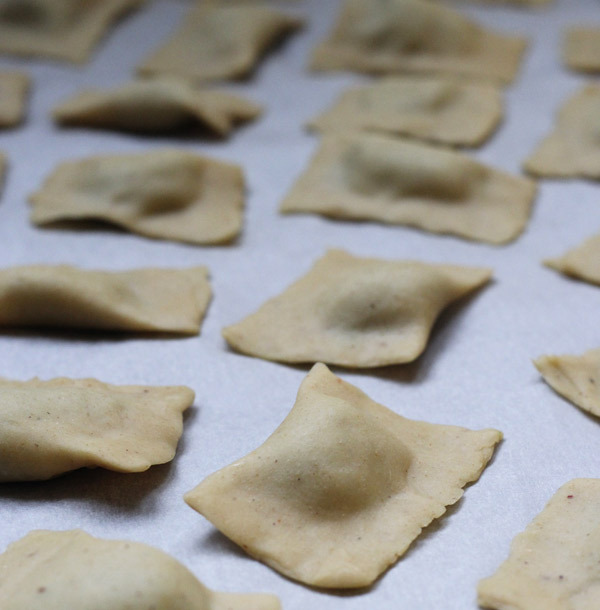 I’ve been experimenting with making my own, home made fresh pasta for a while, mainly various raviolis. I recently invested in a good quality Italian pasta machine and thereby took my fresh vegan pasta making skills to a new level. This is my base recipe for making an eggless, vegan pasta dough. For creating variations, use dried herbs, which you add in step 1 in the directions below, finely ground. Before adding the fluids. I tend to swap my flours around and I’ve tried making pasta with quinoa and kamut flour. Of the two experiments, kamut flour is the best alternative to semolina flour. If you are looking for a healthier, less processed and more nutrient dense pasta, that is. Add semolina, salt and nutmeg to a mixing bowl. Stir and ensure that the ingredients are evenly mixed. Add the oil and work together with the dry ingredients until the oil seems evenly mixed with the flour. Add 1 dl of warm water and work into the dough. Add a tablespoon at a time, until you have a shiny and throughly worked through dough. Quickly wrap the dough in cling film and let rest for at least 30 minutes prior to using the dough for making pasta. The cooking time depends on the thickness of your final pasta pieces. My advice is to test cook one single pasta piece and determine the cooking time depending on the result. 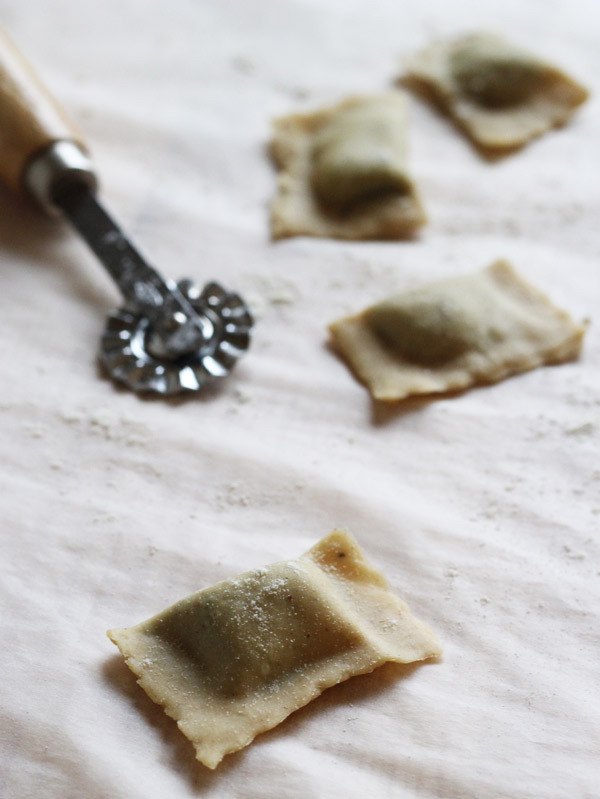 I usually do ravioli, making my pasta sheets as thin as possible, and they take 2-4 minutes to cook.